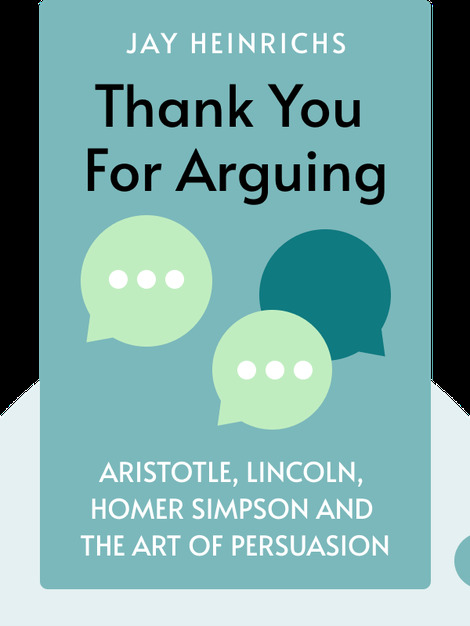 Thank You for Arguing (2013) is a guide to the art of rhetoric. 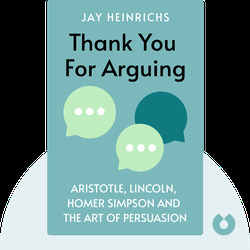 These blinks explain what rhetoric really is, how persuasion works and how to win a debate by drawing on in-depth research, anecdotes and theories from the great orators of history. Jay Heinrich is a former editor and publishing executive who dropped his first career in order to make rhetoric his full-time job. He blogs about rhetorical techniques and holds workshops aimed at popularizing argumentation.